Dr Kane is a Consultant Chest Physician and clinical lead for integrated respiratory care at Manchester University NHS Foundation Trust, based at the North West Lung Centre at Wythenshawe Hospital. Health Innovation Manchester is working with health and industry partners to develop and implement an ambitious plan to improve the care and treatment of people with COPD across the 10 areas of Greater Manchester. Dr Kane will be providing clinical leadership for the programme, ensuring that it best meets the needs of patients and uses the most innovative and effective healthcare approaches. There are around 67,000 patients diagnosed with COPD living in Greater Manchester, who could benefit from this new programme. Patients with COPD suffer with breathing difficulties, often resulting in hospitalisation. It is the fifth biggest killer in the UK. “Living with COPD can be very distressing, especially when problems become more severe and people experience extreme breathlessness. They often end up dialling 999 and go into hospital, which is the last place people want to be,” says Dr Kane. “However, COPD is a condition that can be better managed if patients are provided with the right support and guidance. Undertaking regular exercise and stopping smoking are two things alone that can significantly improve symptoms. We can also advise on the best medications to use based on the latest research, as well as ensuring expert help and support is available within people’s GP practices and the community. It’s all about empowering the patient and wrapping support around them. 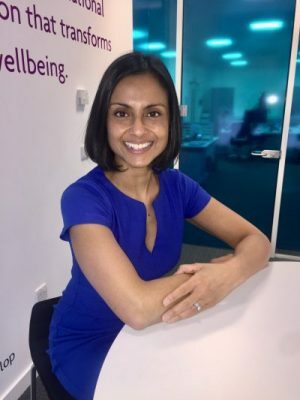 Prof Ben Bridgewater, Chief Executive of Health Innovation Manchester, added: “Binita has a wealth of experience and talent in respiratory care, whilst putting the needs of patients first. I am certain she will provide the clinical leadership needed to implement the COPD programme effectively across Greater Manchester. The programme is in the early stages of development and will involve working closely with health, social care and industry partners across the 10 localities of Greater Manchester.